How Can I Become A NovaVision Pro Physician Or Center? Visual field deficits caused by neurological injuries can result in a debilitating loss of confidence and cause significant isolation. VRT has helped thousands of stroke and brain injury survivors improve their vision and quality of life through daily non-invasive light stimulation that targets the transition zone between the patient’s seeing and non-seeing areas. 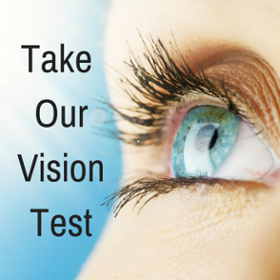 What Does Vision Restoration Therapy Look Like? VRT is performed on a computer at home twice daily, six days a week for six months. During each session, patients focus on a central point displayed on the screen and respond every time they see light stimuli appear elsewhere on the screen. The light stimuli are presented in the transition zone, and the therapy is monitored and updated monthly by NovaVision Clinical Staff as therapy progresses and vision is improved. Patients are advised to take breaks during therapy and to take one day off per week. The traditional view has been that the brain is hardwired in early childhood, therefore one could not expect significant recovery of function in an adult’s injured brain. Recent findings show that in fact the brain has remarkable plasticity that is retained throughout an adult’s lifetime, and hence specific therapies for both motor and visual impairments have been developed leading to significant recovery. The process that the brain goes through to regain lost functions, for example lost vision, is called neuroplasticity. When a brain is damaged so is the network of neurons that process vision. Some networks in the brain however are duplicated and the systematic stimulation of the damaged area with light stimuli at a specific location enables the activation and usage of alternative routes to process the visual information. The brain develops a bypass mechanism. Repetitive stimulation has proven effective not only in vision but also in the recovery of other functions such as movements of lower limbs after stroke. VRT is designed to strengthen the visual information processing of residual neuronal structures that have survived following acute lesions of the nervous system resulting from trauma, stroke, inflammation, or elective surgery for removal of brain tumors. By repeated activation through the course of the therapy, VRT is designed to improve the neuronal efficacy of such residual cells, i.e., patients use the program to train and improve their impaired visual functions, and thus regain useful vision in the area of the visual field deficit. While the patient focuses on a central fixation point on a computer screen, light stimuli are repetitively presented in the transition zones between the intact and damaged visual field. These areas have the highest potential to improve. Light stimuli parameters (i.e., size and brightness) are determined to address each patient’s unique needs. Patients are made to respond to the repetitive stimulation, such that visual processing in the areas of impaired vision is repetitively activated over the course of the therapy leading to recovery of visual function. The VRT therapy program starts with a diagnostic evaluation of the patient’s vision to help NovaVision learn more about the patient’s visual needs and response patterns. During the diagnostic process a map of visual sensitivity is produced based on the frequency of detection at each point. In addition, the reaction time of the patient is recorded. NovaVision then uses this information to construct the most appropriate therapy for the patient. Future months of therapy are determined by the progress of the patient as they undergo their VRT schedule. Contact Us Today To Get Started! Get Started!